One of my genealogy heroes is Robert Charles Anderson of the Great Migration series. I have great faith in his, and his team's, research practices, and frankly his work has shot holes in some of my family trees. Frustrating as it is to find out I'm wrong, I would much rather have a well written and proofed tree than one based on shaky evidence. Even worse is to have one based on no evidence at all. My mantra, when doing research is, WWRT, this acronym stands for What Would Robert Think. Anderson's genealogy proof standards are very high. It may look like a rose, smell like a rose, have thorns like a rose, but if it doesn't come with three original documents with primary evidence, it's just a thorny good smelling weed. Now, not every one cares if their genealogy is a little weedy, and if that makes you happy, great. Others, myself included, prefer our roses to come with some provenance, my goal is to weed my genealogy garden and just leave the roses. So, that being said, here is why I think Keziah Arroyah is a weed! Let me say at the outset that I don't have a dog in this fight. I am coming at this from a fairly neutral zone. Native American genealogy is hard, and it's a good way to hone genealogy research skills. So, for me this is excellent practice. This doesn't mean that I don't take this deadly seriously, well not deadly but but pretty darn seriously. And just because your genealogy is hard doesn't mean that you can lower your standards of proof. If I'm being honest I would say that I am harder on this genealogy then on my own. So, that being said, here we go. This was the world of Keziah Arroyah. 'Keziah Powhatan, the Tauxenent (Dogue) Indian leader of Northern Virginia, whose acts of bravery continue to inspire her many descendant." Keziah Powhatan was the leader of a Northern Virginia Indian band of Tauxenents (Dogues) whose "hostile actions" led to the removal of the first Fairfax County courthouse. Ah, now we're getting somewhere! This article is about a Native American artist, Rose Powhatan and her exhibit. One of her pieces is a totem in honor of her ancestor, Keziah Powhatan. The piece is called "Fire Woman Warrior." Her ancestor Keziah Powhatan was the leader of her people in 1752. I don't know if Keziah was called Fire Woman Warrior in her day or if it was just the name of the art piece. The English/American version of the 1752 move of the courthouse is a bit different than Ms. Powhatan's. Their version is that when the Fairfax County courthouse was built in 1742 it was located near Tyson's Corner, a site for the execution of criminals, in the western portion of the county. In 1749 the colonial government chartered the town of Alexandria, located on the coast. It quickly became a highly successful port for the exporting of tobacco. When the courthouse needed replacing in 1752 the wealthy merchants of Alexandria offered to build a new courthouse at their own cost, in order to alleviate travel to the Tyson's Corner area. Despite the historical discrepancies in the story of Keziah Powhatan, leader of the Doeg Tribe in 1752, clearly she was not the Keziah Arroyah born the previous century. Keziah Arroyah was not the "Fire Woman Warrior." I am a visual person, so I made up this table of Keziah's purported ancestry to make it easier to see what is what. Below is a screenshot from my computer. I started with Pocahontas and Kocoum. I used the color blue to designate documented people; people whose names can be found in contemporary records or writings. The purple shading indicates people for whom there is no known contemporary documentation (that I can find). The only two known dates are the year Pocahontas died in England and the year Richard Bryant died in 1704. Everything else is a guesstimate. The 1635 marriage date for Ka Okee was found on wikitree. I supposed she could have been married as early as 1628. But Keziah Arroyah would have had to have been born by 1635 to be the mother of Richard Bryant in 1651. No matter how you do the math, she could not possibly have been born before 1655, there are two many generations to between Pocahontas and Keziah, even if the women all married at fourteen, it's just not possible. if not possible, is it plausible? According to Anthropologist Helen Rountree, who has studied the Powhatan Indians for decades, very few Native/English marriages took place. Why was this? According to historian Alden Vaughan, Jacobean Englishmen were so culturally myopic that they would not consider marriage to a "savage." A pamphlet written in 1624 said that the native women were "neither handsome nor wholesome" and that intermarriage would not be profitable nor convenient as they have no such breeding as our women have." These are harsh words. It is obvious that the English settlers had a low opinion of the Native population. The Natives were not the compliant, submissive people that the English had hoped to find. The Powhatans had an equally low opinion of the English. They thought they were lazy, smelly, duplicitous, and dangerous. They did not want to convert to Christianity, they did not want to live like the English. They wanted to live their lives as they had always done, retaining their religious and cultural identity. This raises, in my mind, some serious questions about this ancestry. 1. How would the daughter of Pocahontas, a full blooded Indian, living with her kin, meet and marry an Englishman in 1635. Why would Opechancanough allow such a marriage to occur? 2. Why would Thomas Pettus marry the grand niece of his colony's mortal enemy. What would have been the reaction of his English neighbors? 3, If Thomas Pettus did marry and have children, why would he allow his daughter to marry, not only an enemy but the Chief of a tribe which the English were trying to exterminate. Why would he subject her to a life on the run, never knowing when the English would attack? 4. In order to marry an Englishman, the Indian woman would have to have been baptized as a Christian. Their children too, would be Christian. Would Thomas allow his Christian daughter to revert to what he would consider a pagan lifestyle? 5. By the 1660s the Native population had been decimated. Most of the survivors were living in small reservations. The English goal was complete subjugation or annihilation. How would Richard Bryant have met a daughter of Wahanganoche? Why would he have wanted to marry her? According to the wikitree profile for Keziah Arroyah, she and Richard Bryant had four children. Richard Jr. who is well documented and three others; Silent, Martha, and Thomas Powhatan. Martha Bryant married Thomas Foley and William Burton. She, like Richard, was born in the 1650's and therefore cannot be the daughter of Keziah. Thomas, who was never know as Powhatan, married a woman named Eleanor, Thomas' age also rules him out as Keziah's child. Silent married a woman named Lucy Doniphan but there is no document that proves their existence. It is my belief that Keziah Arroyah as described on the web and on wikitree did not exist. She was not the wife or (Richard) Bryant and not the mother of his children. This is a simple matter of math. There is no way possible for her to be the great granddaughter of Pocahontas. I am convinced that this genealogy is pure fiction. This ancestral tree is not the product of genealogy. It does not meet the requirements of the genealogy proof standard. Alan Taylor, American Colonies: The Settling of North America, (New York : Penguin, 2002). Helen C. Rountree, Pocahontas' People: The Powhatan People of Virginia Through Four Centuries, (Norman, Oklahoma : University of Oklahoma Press, 1990) 94-97.
 wikitree contributors, "Keziah Arroyah "Fire Woman Warrior" Powhatan (c. 1635-1690), wikitree (http://www.wikitree.com/wiki/Powhatan-254 : accessed 6 April 2016). Auld/Powhatan, "Powhatan Gallery," Powhatan Museum of Indigenous Arts and Culture ( www.kevinredstar.com/about-kevin/biography.html : accessed 5 April 2016). Phoebe Mills Farris "American Indian Heritage & StoryCorps 2011: One Woman's Family Story," NMAI (http://blog.nmai.si.edu/main/2011/11/american-indian-heritage-storycorps-2011-the-pamunkeys-and-pocahontas.html : accessed 5 April 2016). Charles A. Grymes, "The Migrating Courthouse," Virginia Places (http://virginiaplaces.org/nova/movingfairfaxcourthouse.html : accessed 5 April 2016). Donald M. Sweig, "A Brief History of Fairfax County," Fairfax County (www.fairfaxcounty.gov : accessed 6 April 2016). Alden T. Vaughan, "Explusion of the Salvages: English Policy and the Virginia Massacre of 1622," William and Mary Quarterly, third series, vol. 35, no. 1 (January 1978) 72. digital images, JSTOR (http://www.jstor.org : accessed 6 April 2016). I might be in a unique position to help with this search. I'm a direct descendant of Richard Bryan through his son Richard Jr who is well documented. All but one of the spouses in our line are documented, so if I have Indian DNA links then it will have to be from the connection you discussed. I have a kit on order now. I am also a direct descendant of Richard Bryant. I am interested in how your DNA results come out. Have you received your DNA results yet? My father, Richard Henry vanHaagen, is a descendant but his DNA tests (Family Tree DNA and Ancestry) show no Native American results, nor do mine. It is possible that these ancestors are just too many generations back and not of a direct father to father or mother to mother line. What do your DNA results show? Thank you. Hello! I recently received my DNA results and it shows 0 native american ancestry. Please let me know if you want any further information that may help. I too am a direct descendant of Richard Bryant, documented. I've done two DNA tests and not a drop of Native American ancestry. Jeanie Roberts, thank you for this well-researched, well-written explanation. JB, thanks for reading and commenting on my blog. Please keep me advised as to your DNA results. I do not know alot about DNA results but I do know that with an ancestor that far back, a negative result does not necessarily mean that you do not have a NA ancestor. And, since we cannot be assured of the total fidelity of our ancestors, a positive result may not mean what you want either. That being said, I have never said that Richard Bryan was not the son of a NA woman, only that he is not the son of a particular woman. A DNA test may tell you what she was, but it is not going to tell you who she was. If the English opinion were so low as you and all your sources say, then why did John Rolfe dare marry that savage Pocahontas in April 1614? Why would the artist, Simon van de Passe make and engraving of Pocahontas while she was in England, and the only image of Pocahontas done from life? Why would Pocahontas be known "Lady Rebecca Rolfe," and attended a masque where she sat near King James I and Queen Anne? Wow. I guess the Native Americans were not so badly thought of after all in England. Understandably, we all should be on the look out for genealogical cons. But, there are colonial Stafford County Virginia documents showing the relationships of Keziah to her father, Dr. Richard Thomas Bryant, her husband, and their children. There are recorded connections between Keziah Arroyah and the Bryant Family as in deeds, marriages, deaths, and in books by genealogists. The connection between Bryant, Keziah Arroyah and Elinor Bryant who married Robert Duncan and had Elinor, Mary and Anne Duncan is established by two deeds. There are other records establishing the basic relationships of different lines descending from Keziah Arroyah. Richard Bryant and Keziah Arroyah had issue: (Br10-1) Dr. Richard Bryan married Ann Meese/Amees, daughter of Henry Meese and Mary C (Br10-1-1) Dr. Joseph Richard Bryan b. ?1687. Dr. Richard Bryan is an ancestor of Bryan Reddick, PhD., Bryan or Sheila Reddick [reddicksb@verizon.net]. d 1749 King George, Va. (10-2) Thomas Bryant m Elinor his Indian Servant (Br9-3) Martha Bryant (about 1650 - after 1690) married Thomas Foley and had 5 children, 2nd William Burton. (Br 10) Silent Bryant m Lucy Doniphan (Br9) Elinor Bryant dau. married Robert Gallup (Br10-5) Nathaniel Bryant p Mary Amees, b/d in Stafford Co. Virginia, (Br10-6) Elizabeth Bryan, b/d in Stafford Co. Virginia. Deyo, William L. The Monteith family and the Potomac Indians. (Colonial Beach, Virginia: DeJoux Publications, c2000). Keziah may seem a Hebrew name to you, and Arroyah may sound Spanish. Most likely in the Native language, her name was not pronounced in the same way and, certainly not spelled out in the same manner. I wouldn't make fun of other peoples cultures, if I were you, and then have a blog about Native Americans? Tieplay, thanks for reading and commenting. Keziah may be found in 'books' but William Deyo is only source given for her. Can you tell me where the two deeds that names Keziah and Dr. Richard Bryant can be located? I have searched for these deeds with no success. And what are these Colonial Stafford County documents? What do they say? I would love to see them. Henry Meese had a daughter named Anne, she was born and died in England. There is no proof he married a Native American. Deyo may have been past president of the Virginia Genealogical Society put his work is certainly not based on the Genealogical Proof Standard, the accepted standard of all Genealogical Societies. You can copy all the junk you want off the internet but it has to be backed up with facts, which are short on the ground in this case. I have nothing but the greatest of respect for Native Americans past and present, what I do not respect is people inventing Native American ancestors for whatever purpose. Native Americans were a novelty in England. Successive waves of Native Americans visited England. They were paraded around, painted, feted and then sent back home to tell their fellow Native Americans how great England was. Pocahontas was a pawn, used to raise money for the fledgling Virginia Company. The English kidnapped her, and according to NA oral history tore her away from her husband and her child in order to use her as a bargaining chip with her father. The English used her from start to finish. Did they admire her? Did they respect her? Did they view her as an equal? Who can say. "Inventing Native Americans ancestors for whatever purpose" is most surely unacceptable. I don't know of anyone that wants to be related to people that they really have no blood connection with. There may be extreme cases. But, imagine persons being cheated of their culture and being dissuaded from even searching for it. When Dr. Deyo wrote his book, he had sources to back up his claims or references. 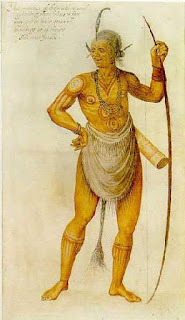 When the Patomwomeck Indian Tribe was recognized and accepted by the state of Virginia in 2010, Terri Hampton Roesenthal writes, " I am a descendant of this tribe, and a direct descendant of Chief I-Opassas (Japasaw) through the marriage of his daughter Keziah Arroyah and Dr. Richard Bryant, I am one of the many great grandchildren who still call the Great Commonwealth of Virginia home. I am Chief I-Opassas’s 10th generation great granddaughter. 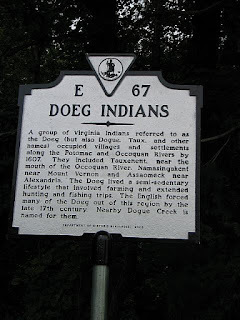 And this is only one of the many bloodlines in my family to this tribe as well as other Virginia tribes..." . Patawomeck Indian Tribe; General Assembly ( Virginia, 2010) to extend state recognition & representation on VCI. (HJ150). So, there must be much more documentation out there that we just haven't found yet. Thanks for letting me contribute. Lynn I have a friend who specializes in Virginia genealogy and she and I have spent hours and hours pouring over all available sources, in libraries and online and there is nothing to be found. The first Bryant that can be documented is Richard Bryant b. abt. 1651. There is nothing to be found for an earlier Richard Bryant. See this well documented website about early Colonist in Virginia and Maryland: http://www.colonial-settlers-md-va.us/index.php It has many of these people that Deyo includes in his genealogies. The wife of this Richard Bryant is Anne Maiden Name Unknown. There is no brother Silent Bryant or wife Lucy Doniphan, they don't exist on paper. Even if we exclude the Native American part of this genealogy there is nothing on the Bryant's until Dr. Richard Bryant appears on the records in 1669 when a Richard Brian arrives in Virginia. Richard Bryant in a 1690 court case said he was 39 years old. There is no record that he was born in Virginia, in fact it seems as if he was born in England. If you google Deyo and read his entries on various websites over the years, you can see his theories evolve into what they are today. He never offers concrete sources but he has cobbled together other peoples family lore and come up with the mess on multiwords. I appreciate you comments, and I will happily amend my writing when and if these documents are found. But until then, I will apply the standard of proof for professional genealogy to my research. If you find Mr. Deyo's research acceptable, than that's all that matters. We each have to decide for ourselves what we believe. In the end, what does it really matter? I enjoy the challenge of teasing out documented genealogy, others just are happy to believe they are related to Pocahontas. Ok Lynn, lets just for a moment set aside Deyo, documents, research etc. and concentrate on math. KaOkee meets and marries Thomas Pettus after his 1631 arrival. Let's say they marry in 1632 and by the end of the year she has her first child. This child, Unknown Pettus is the wife of Wahanganoche. So if she is the first born child, born in 1632, by 1651 her daughter Keziah gives birth to Richard Bryant. He tells us he was born in 1651 in a deposition. In 1651 Unknown Pettus, wife of Wahanganoche is at most 19 years old. How is it possible that a 19 year old has a fully grown married daughter, Keziah Arroyah? Kaokee Powhatan (1611-1704) was married to Chief Arroyah Wahaganoche (1607-1662). They had 5 recorded children. One of the daughters was Keziah Arroyah (1635-1690). Keziah married Richard Thomas Bryant (1630 -1680) in 1650 Stafford County, Virginia. They had 6 recorded children, and a son that they name Richard Thomas (1651-1704). As far as the records I have go, I have no Thomas Pettus and no unknown Pettus. I am unsure where you got this name. It's not a math problem. Bill Deyo says that KaOkee married Thomas Pettus and their daughter married Wahanganouche making KaOkee Keziah's grandmother. I have no dog in this hunt other than a desire to see accurate, documented information to go along with claims of Native American ancestry. Where are the five children of Wahanganoche documented? Where are the documents of their marriages? 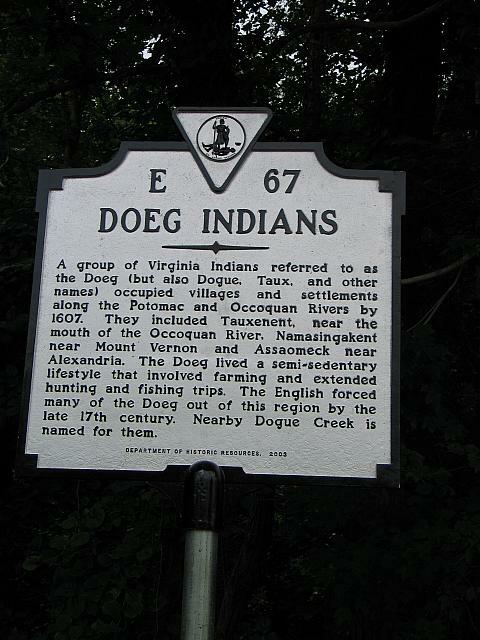 Marriage between English settlers and Native Americans in colonial Virginia at this time was uncommon. Because it was so rare, the marriage of Giles Brent to a Piscataway woman is well recorded and parts of their story seems to have been rewritten as the Bryants’ story. 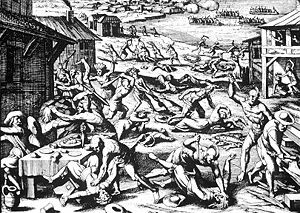 By 1644 almost all of the Indians living in the Jamestown area had been wiped out, and over the next twenty-five years the colonists suceeded in eliminating almost all the rest. Court permission was required to employ an Indian servant in the 1660’s. Hi, I happened to run across this article while trying to research Keziah and I'm having the same issues as Jeanie. The dates don't fit and the documentation is sparse at best. I also like to have documents for everything. I don't like putting people in my tree unless I know there is a real connection. I was adopted and found my mother when I was 30 and my father about 6 years ago so it is very important that it be right. I did have my DNA tested by 3 different places, Ancestry, 23 and me and the National Geographic Genome project. All came out with .5% Native American ancestry. I'm pretty sure it is from this line. According to my research Pocahontas is my 11 times great grandmother. I believe this is correct but it would be nice to know for sure.